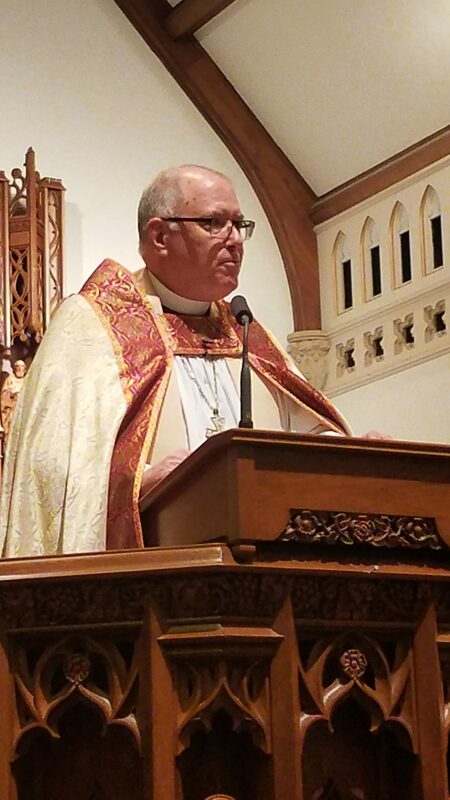 This is the sermon Bishop Scott Mayer preached at All Saints’ Episcopal Church, Fort Worth, on January 13, 2019. Now, as always – when we celebrate baptism or confirmation – we will say together the Baptismal Covenant, reminding ourselves that we are called into the Body of Christ for a purpose beyond ourselves: to proclaim and embody the Good News of God’s love for all people. Our Presiding Bishop, Michael Curry, reminds us that in the early days of the Church, we saw ourselves as a “movement” – not so much as an institution, as a movement. Institutions can be good, he tells us; institutions can serve the movement. And if or when the institution does not serve the movement, it tends to become a “golden calf” (an idol). In the early days, the Church was a movement, and fundamentally, it’s a movement now. I suspect you know by now that Bishop Curry calls this movement the “Jesus Movement,” and we are the Episcopal Branch of the Jesus Movement. Love. Last May there was a wedding over in England. I’m not sure who got married (ha), but I know who preached. It is speculated that over 1 billion people tuned in to watch that royal wedding, and heard Bishop Curry preach about love. And the next thing you know, he is being interviewed on morning shows and late night shows, and cable news, and he is the subject of articles in magazines ranging from Bride to Cosmopolitan. People are drawn to the message of love, partly because we hunger for love, and partly because deep down we know the message is true. Then this summer, the theme for General Convention was “The Jesus Movement: Loving, Liberating, and Life-giving.” We even had a revival where the Presiding Bishop introduced us to – and invited us to use – a set of practices, a rule of life: “The Way of Love.” I’m not going to go through the practices now, but these are practices we can do together as a church as we follow the way of Jesus – the way of love. For love is the way. Love is the way to live a full and abundant life. Love is the way to change this world. Love is the way of Jesus. I want to suggest this morning that while this is a challenging time to be a Christian, it is likewise a fascinating, even exciting time to be a Christian. That may be a startling suggestion, given that nearly every Christian tradition which comes to mind has experienced the pain of conflict – if not division. But the historians and sociologists of our times agree that we are in a place on the timeline of history of deep sea change. Some call it the “emerging church” while others call it a re-formation or a metamorphoses, but whatever we call this new period in history, it is largely agreed that we are living during a fundamental shift. We are shifting from seeing church as a place to go to seeing church as a body of people. We are seeing a shift from the “come and see” model of church to the Great Commission to “go.” We are shifting from seeing Christianity as a “system of beliefs” to seeing Christianity as a “way of life” – a path to the full life, the abundant life, which Jesus offers. One of the Early Church Fathers said (Irenaus): “the glory of God is a human being fully alive.” Christianity appears to be returning to its roots as a path to follow toward such a life – a path toward becoming fully alive – a path which awakens us to abundant life. And I believe that is exciting. And further, I believe the Episcopal Church is well-positioned for this shift in perspective, as we have always tended more toward following a path than a set of beliefs. In our beginning as a new tradition in England we chose a path, a way of prayer, a book of common prayer, rather than a doctrinal statement of faith. To this day we follow a rhythm of life, a practice of praying together: morning prayer, noonday prayer, evening prayer, compline – marinating us in the Anglican way of life. To this day we understand Christian ethics to be more about character formation than about right answers to complicated questions. To this day we see Christianity as a path to know God, rather than doctrine about God. And that, I believe, is the world’s deepest hunger: encountering God, knowing God, communion with God. On the First Sunday of Epiphany we celebrate the Baptism of our Lord. It’s the event at which his vocation is made known. It is an epiphany. Jesus’ calling as the Messiah is made known to all of the witnesses at the River Jordan. It’s the beginning of the movement. As the story goes, a handful of people encounter Jesus, and are drawn to follow Jesus. Something about Jesus changes them, and compels them to follow him, and not only that, compels them to tell others. And his following grows rapidly, until it disappears at the crucifixion. But it gains new life with the resurrection as the community is raised from the dead – changed. And on the Day of Pentecost the movement grows by the thousands. From that day forward, people encountered the Risen Christ, their lives were changed, they were compelled to follow Jesus, and they revealed God to one another and others. They gathered around bread and wine, and told the story of the liberating power of Christ, and the Living Christ was made known in the breaking of the bread and in the storytelling, and lives were changed. And as that newly formed community told the story over and over, they began to write it down. And in time they determined (with the help of the Spirit) that their writings (their testimonies) were sacred, holy scriptures – out of that community came the New Testament. And over the years, as the community grew – as the movement grew – it struggled with what it believed about Christ, and the God revealed in Christ. So, out of the community came the creeds and councils. And as the community grew in numbers it took on a structure with a hierarchy of sorts. By the third century it looked different from the first century church, as it looks different now. All along, lives were changed, and all along the Church changed. To grow means to change. It all started when a few people dropped what they were doing (dropped their nets, so to speak) to follow Jesus, to tell others the Good News of the liberating work of Christ, and how he changed their lives. Having said that, a testimony is the story of a life changed. 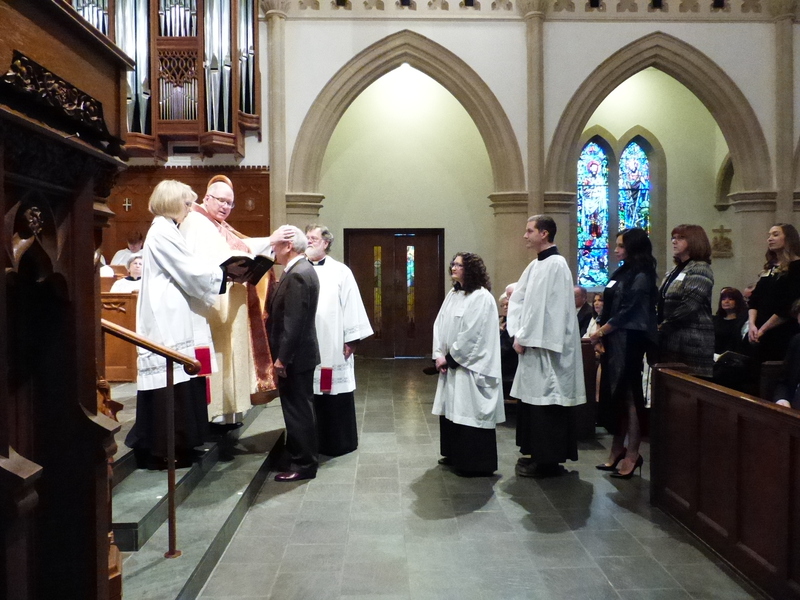 One of the great privileges of being ordained is that we get to see and hear the stories. We see faith which leaves us speechless. We see lifelong Episcopalians have dramatic conversion experiences like the Apostle Paul. And we see others grow deeply through prayer and contemplation, maybe like the beloved disciple John. If we are honest, others find new life elsewhere. The Gospel is for everyone; every congregation is not for everyone. But, if an encounter with God and a changed life is found in elsewhere, perhaps we should honor that. Peter Drucker was a consultant to organizations from businesses to not-for-profits to churches. And Drucker said it’s hard to measure the success of a non-profit. A business measures its success primarily by its profit. It might also include its reputation, its service, its contribution to society, but at the end of the day the stockholders want to know the bottom line: size, volume, profit. A non-profit, by definition, cannot be measured that way. According to Drucker, the bottom line for a non-profit (and I would suggest, for the Church) is a changed life. Our bottom line: changed lives, both within and beyond the movement. We have a story to tell and a way of life to offer which leads to an encounter with God and changes lives. Lives change here. Within this community of faith, gathered for God’s sacred meal, telling our story of God’s love. Right here at All Saints Episcopal Church in Fort Worth, Texas: a branch of the Jesus Movement revealing the love of God … all in the Name of the Holy Trinity, One God, in Whom we live, and move, and have our being.